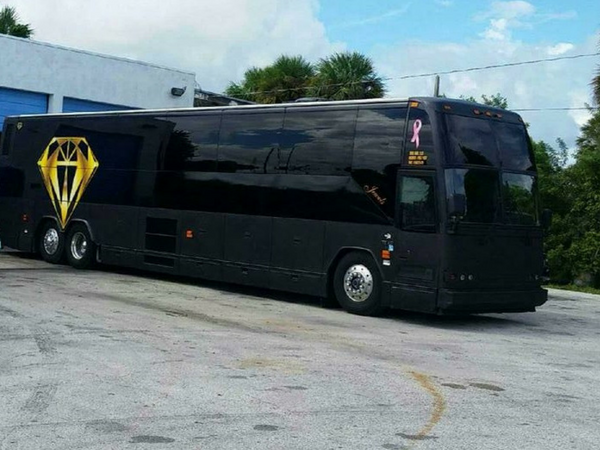 We welcome you to Bus One LLC of the Palm Beaches, Palm Beach County’s premier transportation provider. With over 28 years of experience, our clients receive the highest level of VIP treatment. “Let us Upgrade You” to a higher level of charter bus services. Over 28 years of VIP treatment to our clients. Late model luxury motorcoaches with the latest features. Bus One was great! Even though we messed up the date and realized the day of the event we needed transportation, the dispatcher and drivers managed to accommodate us! They were gracious and cheerful and the service was excellent! Working with BUS ONE is a very unique experience in the world of business. Of course they are very efficient and responsive to the clients needs. If you have a unique situation, they become problem solvers. Down to the last minute, they are always there to make sure you have the right equipment for your job. These are two things that mean a lot to customers BUT the quality that stands out most about BUS ONE is that they CARE. They care about you, the customer; they care about their terrific drivers; and they care about your experience with Bus One. We are very lucky to have a group like Bus One in our area. We enjoyed a completely perfect experience with Bus One on our evening dinner trip to Miami. The coach was clean and comfortable. Our driver (Ron) was courteous, friendly, and a skilled driver. We departed on time and most amazingly we returned home on the nose, at precisely midnight, all the way from Miami. Our residents, who have never traveled with Bus One previously, now want to use Bus One for any future trips. And the price was fair and affordable. First I would like to say that you and your company are NUMBER 1. Your attention to service is second to none. Your people, drivers and customer service is far superior then any other bus service we have used. I cannot thank you enough for your commitment to our community and our school during both normal service and emergency situations. We at Meyer Academy salute you and your company!!! Although I have known the owners of this company for 20+ years, I never had the pleasure of booking their services until this month for our 2017 South Florida Garlic Fest. We had never implemented a shuttle plan for any of our events. Bus One made this process seamless and provided service above and beyond our expectations. Our patrons also provided us with rave reviews. We have been working with Bus One since 2006. I have only superlatives – exceptional, wonderful, amazing – for the quality of service, the professionalism and the prices that Bus One offers. What a wonderful Blessing Bus One is! Not just a professional service, but more like family. I am left speechless with the amount of care this company showed towards me. Thank you so much! 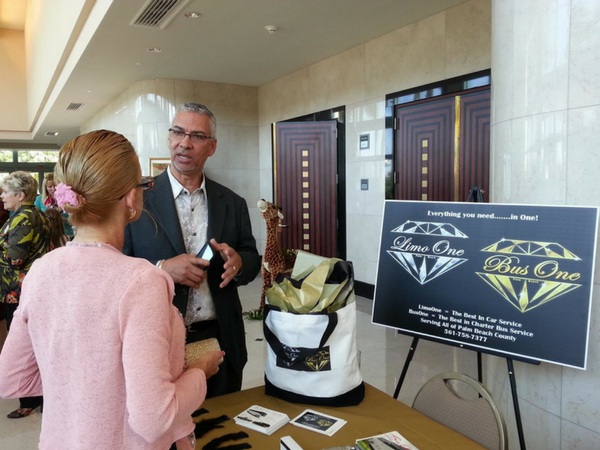 I will continue to promote your business in the community. Your gift of transportation meant a lot! One of the best experiences we have had in regards to transportation. Our driver was the best! He was very courteous, professional, on time, and very safe! 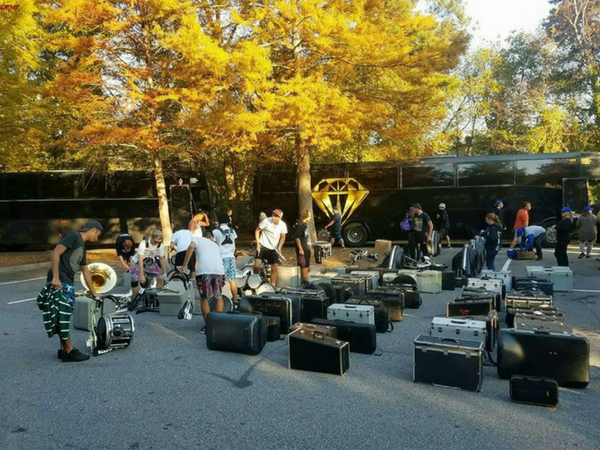 He also went above and beyond his driver duties by helping with the instrument loading and unloading, engaging the students in conversation, enjoying their antics, and helping with luggage and bags. I hope he is available to drive for us next year! We have used Bus One, for our end of the year field trip, for the past few years and have always enjoyed them. The buses are clean and the drivers have always been professional and friendly… which isn’t always easy with a bus full of young, excited children. We will continue to use their services in the future. We were very pleased with the excellent service we received from Bus One from the time we contacted them for a quote to meeting them at pick up and drop off! The drivers were always on time and very professional. Our travelers were children and safety was our number one concern and the drivers were well trained seasoned safe drivers!! We were very fortunate to have Andre as our bus driver on the last trip we took to Disneyworld. Andre was professional, yet very fun and pleasant. He was always on time, and we trusted him with our safety. He is an excellent example of why we always use Bus One. We have used Bus One on several occasions and they have come thru for us at the last minute. What a wonderful company to use for your transportation adventures. Our church would recommend their services anytime. The buses are clean and the driver is very safety conscious. We say call Bus One. Anytime you see the Bus with the Diamond on it think of Bus One. We had an outing of 35 people to the International Polo Club of Palm Beach this past Sunday and had the most delightful and helpful driver. His name was Demetrius, he was on time, courteous, and a pleasure to be with. Bus One and staff members are dependable, courteous, pleasant, timely and most of all reasonably priced and accommodating for your convenience. Once you’ve used them you will become accustomed to a Bus One way of doing business. Such A Complimentary Service company…..Try them you will use them always!!!!! Bus One is great! I’ve used their services so many times now. They respond quickly, are reasonable, and have very nice buses and limos. Bus One and the entire staff are top notch. They go out of their way to make sure every customer is completely satisfied. They are professional, dependable, timely and the vehicles are always spotless. I use them for all of my travel needs. I recommend them to all my friends and family. If you want the best, just look for the big yellow diamond! Had the pleasure of riding one to Busch Gardens and the pro bowl. Andre the driver was very professional. The entire staff was incredibly easy to work with! Our driver, Andre, did an amazing job. He was timely, professional, and patient with our rowdy group. Absolutely top notch – highly recommend to anyone needing bus services in the area. I want to thank you for your services. Our last 2 trips we have used Bus One and your buses have been awesome. The driver Andre has been our driver both times and we had a blast on your buses. Looking forward to using you guys again. We provide quality service for all of your transportation needs. We pride ourselves on having a knowledgeable, professional, and well groomed team of drivers who’s first priority is providing QUALITY SERVICE to the customer. Copyright © 2019 · Bus One LLC. · All Rights Reserved.